Like PTV GOV on Facebook! Want to stay up to date with the latest videos from PTV GOV? Like PTV GOV on Facebook! PTV GOV, local Comcast channel 18, is the dedicated Government channel of public access station PTV. Is PTV GOV a Town Department? No. 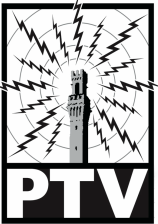 PTV GOV is a division of PTV, a 501(c)(3) non-profit contracted by the Town of Provincetown to provide both government coverage on Comcast channel 18 and public access to media equipment, broadcasting, and education on Comcast channel 99. PTV is funded in part by subsidies from local Comcast television subscriptions and from local donations and sponsorships. PTV GOV provides unbiased daily cablecasts on Comcast channel 18 of pre-recorded and live regulatory board meetings. PTV GOV also offers live streaming and video on demand services via our website. How can I learn more about Government and Public Access? Come by the station, give us a call at 508-487-0648 or send us an email at info@provincetowntv.org. We're always happy to answer your questions. PTV GOV is dedicated to providing unbiased coverage of Provincetown Regulatory Board Meetings for the Provincetown Community. Unbiased video coverage of local government provides a vital and important service to our community, and PTV GOV takes this service seriously. We have a selective hiring process for our Government camera operators and strict rules for camera operators during Government tapings. If you witness bias in coverage on a PTV GOV video, please contact info@provincetowntv.org immediately with the Board Name, meeting date, and your specific comments.